We linked to a story about the Herald's story about the Caldwell's theater being auctioned off in Mondays are Dark. But there are more stories out now, and the Caldwell was a South Florida treasure for 37 years; it deserves its own compiled list. Sadly, it seems the Palm Beach Post hasn't noticed the ending of nearly four decades of a cornerstone of Palm Beach County's cultural heritage. Their most recent story is March 31. They reported the company was going into receivership, but noted that "It won’t be apparent to the theatergoing public." One reader contacted us and pointed out that while the building was being closed, that did not mean that the Caldwell couldn't present somewhere else. Of course, their mortgage isn't the only debt they have, for example, they dipped into their Equity bond (money put aside to ensure actors will get paid in the event of an unexpected closure), which means that they have to replenish the bond before they can hire more Equity actors. And of course, their other debtors will need to be paid before the company can launch a new performance series. 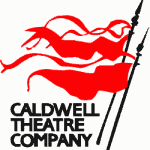 In truth, the Caldwell ended its 37-year run as an important, influential South Florida theater company after its production of the musical Working closed on April 1. Sure, there were hopes that donors keep one of the region’s oldest companies from disappearing. But that didn’t happen. The Caldwell is toast. And that matters. Florida Theater On Stage published their story on Monday, and it isn't any more optimistic. When the house that the Caldwell Theatre Company built goes on the cyberspace auction block Tuesday, court records hold out little hope that the facility will end up hosting Shakespeare or Conor McPherson. While the Caldwell technically exists on paper, the sale formally lowers the curtain on one of the premier regional theaters in South Florida’s cultural history — what had been the second oldest professional company still in operation until this summer. Q: Do you have any regrets? Is there anything you would have done differently, especially about the new building? A: None. I had 34 years of work that I loved. I enjoyed an amazing number of high points. Awards are great, but personal satisfaction of productions like Sight Unseen (1993 with Pat Nesbit, Peter Bradbury, Barbara Bradshaw and John FitzGibbon) and The Laramie Project (2001 with a terrific ensemble) is what resonates with me. Regarding the new theater, had developers come through with promises, the economy not faltered, Madoff and others not frightened donors, history might be different. Was Its New Space A Mistake? Just a quick note on the new space; many have criticized Caldwell and Florida Stage for their relocations, claiming that the moves were complicit in their problems. After all, both companies folded shortly after their moves. But the fact is that in both cases, the moves were necessary. The Caldwell's venue in the old Levitz Plaza was literally being torn down; staying wasn't an option. And there weren't any other empty theaters sitting around waiting for an occupant to come along. Florida Stage had a 20 year lease that came to an end; their rent had been covered by a donor for that duration, but with its end, they would have to assume the full amount of that lease - the donor was not renewing. But they were barely able to pay the expenses they had at that time; that additional expense was impossible. The move to the Kravis Center reduced their costs; they just didn't reduce them enough. The Examiner's Richard Cameron reflects on the closing; he was a former staffer. There were days when the Caldwell's Managing Director would call patrons and ask "Can you please help us cover payroll this week?" Sitting in the same office as Public Relations one knew we got trouble. The outcome did not look good way before the layoffs. An intimate theatre with 300 or so seats and a ticket price of $23.00 cannot support the cost of royalties, full union cast and all that is needed to compete with Lake Worth Playhouse a non-paying actor community supported theater located just down the road. Who buys a ten million dollar theatre at an online auction? And what will it go for? From the countess Florida Opera companies, Ballet companies and even new Theatre companies that rent spaces to present their art, the hope is one of them, or a Broadway producer will acquire this beautiful venue in a wealthy educated South Florida theatre supported community. Maybe this is where they could try out new works before they move on to the heavy cost of Broadway. We hate to rain on anyone's parade, but the sad reality is that Caldwell's theater isn't up to snuff has a house for major musicals or operas or ballet. They lack a fly system, something necessary for ballet and opera, who usually share sets with other companies. That means that the sets already include elements that need to be flown. And beyond that, the stage is too small for those applications. But it's the perfect size for the regional theater it was. And what a regional theatre it was! In the 1980s, it was making strides and breaking ground. They were one of the first companies in the nation to include gay-related themes in its programming; Bent, The Normal Heart playing in repertory with The Boys in the Band, and Take Me Out. They took their production of The Middle Ages to Los Angeles. Broadway heavy hitters such as Charles Nelson Reilly, Len Caroiu, Rosemary Prinz, and Beth Fowler. Leading man Mark Kudisch received his Equity card there. For the better part of forty years, the Caldwell Theatre Company set the benchmark for quality theatre in South Florida. You can read the review summaries we've collated for the Caldwell by clicking here. Over the summer, several parties have expressed interest in the facility at 7901 N. Federal Highway, even touring the building, according to the legal documents filed last month by the receiver, Brenner Real Estate Group. The advisory committee of an unnamed church, described as “extremely interested” in a lease with an option to buy. A “specialty user” interested in a lease with option to buy and reportedly working with city and county officials for help in financing. An unnamed charter school whose representatives were concerned about the price and insufficient parking. The article also mentions that the receiver had inquiries about short-term rentals of the space; Entr'Acte Theatrix did in fact stage their production of Jesus Christ Superstar under such an agreement. The receiver has been working to return personal property from the building to the various individuals, with one glaring omission; the heirloom chandelier belonging to the late Frank Bennett, which he had loaned to the company to hang in their lobby, as much because it was too big to hang in anyplace he could afford as to provide decoration and illumination for the company's lobby. Broward Center displays a tapestry in the lobby of its Amaturo Theater along the same terms. Hopefully, this will be resolved and the chandelier removed from its wrongful inclusion in the auction. While it's a part of the theater's history, it is not part of the theater. But is this end of the Caldwell? Yes, Florida Theater On Stage confirmed it in its post-auction coverage. Artistic Director Clive Cholerton also confirmed Tuesday afternoon what most theater observers surmised for months: The 37-year-old Caldwell Theatre Company itself is no more. “There are no plans to resurrect it,” he said. And he's right. Someone will - eventually. In the meantime, there is a gap that isn't being filled by smaller companies, and won't be for years to come. Actors, technicians, and designers will scramble to make up for the loss of income, and a few players will head out to other markets. Our pool of experienced actors, designers, and technicians will shrink just a little.